The attached image was created for Nelson, a global design, architectural firm, engineering, space planning and space management firm headquartered in Pennsylvania. 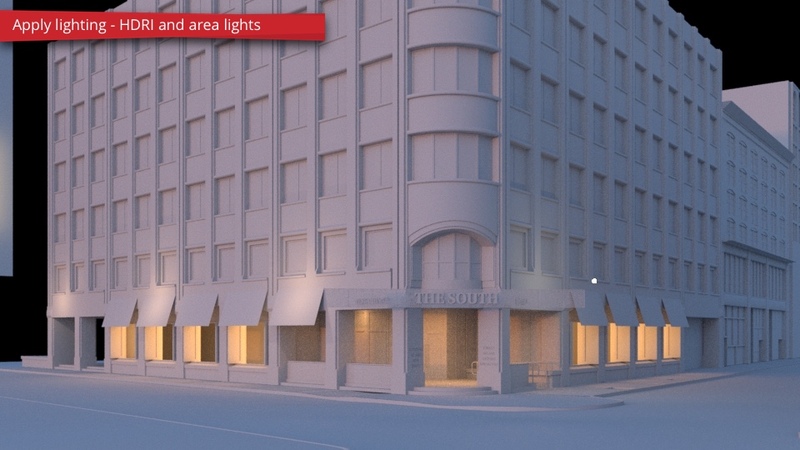 Beacon Capital was the end user and they wished to have an image created which their Real Estate Professionals could use to generate excitement about the existing vacant retail space on the ground floor of 745 Atlantic. Our client came to us with a request. They needed an image created ASAP to show how the space might look but couldn’t internally hit their deadline. They turned to PiXate Creative to pull off the render in a professional and efficient manner. Nelson, uses both Revit or SketchUp and in this project we received a SketchUp file. The first step of this process involved acquiring the SketchUp files provided by the client and moving them to the program Houdini. This enables us to provide our clients with a visual representation of the final product by creating the most realistic photo illustrations. Defining the camera helps “paint a picture” for what the building will look like when it is finished. Since there was currently an existing building in place, our client asked us to improve the look of the building for marketing purposes. In this step we apply lighting to the image via HDRI. HDRI carries light information including the relationship between the location of the building and how the sun will hit the building. Along with the actual 3D render of the building, we provide additional models to the scene to create a more realistic final product. With the additional models, it provides our clients with a clear and vivid picture of what their building will look like when it is actually constructed. In this step you can see how we applied a number of materials and textures to make the image more realistic. From the lighting in the windows to the people walking around, we want to provide the most realistic 3D render we possibly can. By applying textures, you can see some of the finer details of the render as well such as the color of the building or the reflection of the glass. You can also see the discolorations on the brick giving the look of imperfection. 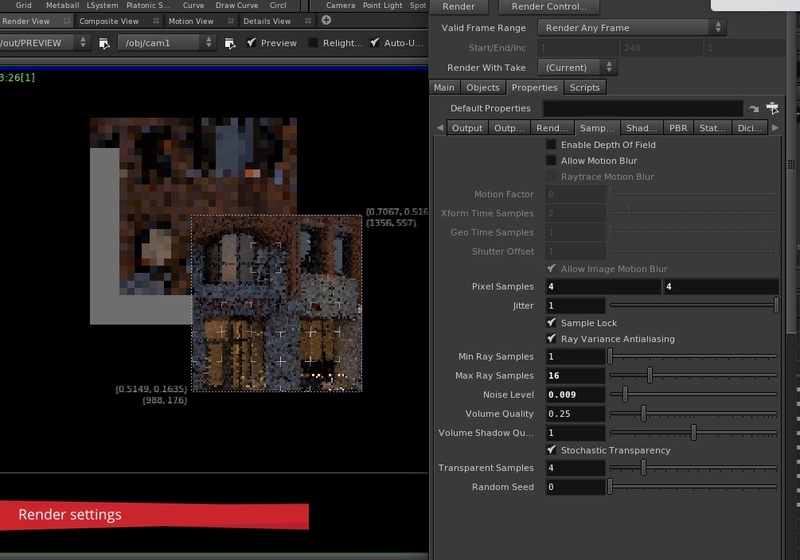 As you can in this step, we adjusted the render settings slightly enhance the quality of the image. This part of the process is rather complex due to the number of settings needed to make the image look great. If you are interested in hearing more about this step, send us an email to info@pixatecreative.com. The final portion of the process involves adding post process effects to the 3D render through either Photoshop or Nuke. Once this step is complete, the image is ready to be presented to the customer for final approval. As you can see the people were added to the post process and not rendered in the images. Sometimes we add people to the image during the 3D process; we will have a future blog discussing when to add people in 3D renders versus Photoshop, so keep a look out! 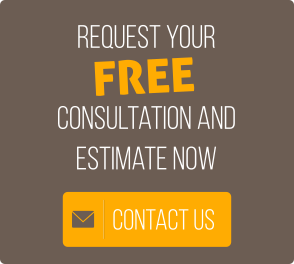 Do you have a project you need help on? My interest in 3D began when the movie Toy Story was released in 1995. I was 15 and was amazed by the idea that realistic images could be computer generated. To feed my curiosity I began working with LightWave, a 3D animation package, to create cartoon characters within environments. Once I picked up 3D, I never put it down. Motivated and self taught, I spent the next 12 years perfecting and improving my 3D software application skills. I am the owner of PiXate Creative, husband, and father of two kids. EB-5 Funding for Project Development – Do You Qualify?